WASHINGTON, DC, June 28, 2011 (ENS) – Two species of bats may warrant federal protection, the U.S. Fish and Wildlife Service said today following an initial review of a petition seeking to protect the species under the Endangered Species Act. In response to a petition from the Center for Biological Diversity, the Service said it will initiate a more thorough status review for the eastern small-footed bat and northern long-eared bat to determine whether these species should be added to the Federal List of Endangered and Threatened Wildlife. Information in the petition and in the Service’s files indicates that the continued existence of one or both of these species may be threatened by several factors, including habitat destruction and degradation, disturbance of hibernation areas and maternity roosts, and white-nose syndrome, a deadly disease that that has killed more than one million cave-hibernating bats since its discovery in 2006 in a cave in upstate New York. “Existing regulations of these activities may be inadequate to protect the two species,” the Service said in a statement. The northern long-eared bat occurs across much of the eastern and north-central United States and across all Canadian provinces west to the southern Northwest Territories and eastern British Columbia, although the species is variably distributed and rarely found in large numbers. In five years, white-nose syndrome, or the fungus suspected to cause it, has spread from upstate New York to 19 states and four Canadian provinces, reaching from Nova Scotia to western Oklahoma. 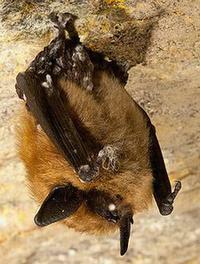 It causes mortality rates of 70 to 100 percent in affected bat populations. Biologists believe that eventually, all 25 hibernating bat species in North America may be affected. 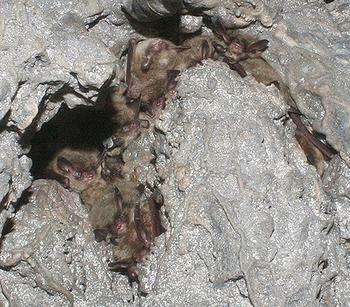 Both bat species hibernate in caves and abandoned mines in winter and in addition to white-nose syndrome, are threatened by logging, energy development and likely pollution, said Matteson. On January 21, 2010, the Service received a petition from the Center for Biological Diversity requesting that the two species of bats be listed as threatened or endangered and that critical habitat be designated. The two bat species on the petition were already rare prior to the appearance of white-nose syndrome and are now at grave risk of extinction, the Center warns. Eating up to two-thirds of their body weight in insects every night, bats help suppress insect populations, reducing crop damage and the quantities of insecticides used on crops. Bats also play an important ecological role in plant pollination and seed dissemination. Today’s decision, known as a 90-day petition finding, is based on scientific and commercial information about the species provided in the petition requesting protection of the species. The petition finding does not mean that the Service has decided to protect the eastern small-footed and northern long-eared bats under the Endangered Species Act. It is the first step in a process that triggers a more thorough review of all the biological information available. During this process, public comments are welcome. Comments must be received within 60 days, on or before August 29, 2011. Federal eRulemaking Portal: http://www.regulations.gov. Follow the instructions for submitting comments to Docket No. [FWS-R5-ES-2011-0024]. U.S. mail or hand-delivery: Public Comments Processing, Attn: Docket No. [FWS-R5-ES-2011-0024]; Division of Policy and Directives Management; U.S. Fish and Wildlife Service; 4401 N. Fairfax Drive, MS 2042-PDM; Arlington, VA 22203. The Service will post all comments at: http://www.regulations.gov including any personal information provided through the process. The Service does not accept email or faxes. In addition, the Service is collecting information on several other bat species believed to be susceptible to white-nose syndrome to determine if, in addition to existing threats, the disease may be increasing the extinction risk of these species. These species include the little brown bat, big brown bat, cave myotis and southeastern myotis as well as the tri-colored bat, also called the eastern pipistrelle. Research published in February shows that culling of bats will not stop the spread of a deadly fungus that is threatening to wipe out hibernating bats across North America. Scientists believe that white-nose syndrome is probably caused by a newly discovered cold-adapted fungus, Geomyces destructans. “Because the disease is highly virulent, our model results support the hypothesis that transmission occurs in all contact areas,” write the paper’s authors, Tom Hallam and Gary McCracken, both of the University of Tennessee. Culling of bats in areas where the disease is present is one of several options that have been considered by state and federal agencies as a way to control the disease. But a review of management options by Hallam and McCracken indicates that culling is ineffective for disease control in wild animals and in some cases, can exacerbate the spread.